One of the most successful directors working in Korea has brought another blockbuster film which will have a global run thanks to Well Go USA. It will play here in the DFW area at AMC Grapevine Mills Theater with dine-in options beginning Friday. The comfy seats and food are necessary as this is a long movie clocking in at 140 minutes. Director/writer Choi Dong-hoon who brought the world the wildly popular film The Thieves a couple of years ago continues to use the chemistry with the same stable of actors used in that movie. When Assassination opened in Korea it had the best opening day for a local film in 2015 and second best opening day over all behind Avengers:Age of Ultron. The Japanese occupation of Korea from 1910 to 1945 is often seen as a dark and unhappy history. The colonization brought an influx of Japanese merchants and the political subjugation of the Korean people. In 1911 a pro-Japanese Korean business man saves the Japanese Governor/General when a bomb explodes and a masked man shoots up the place. The meeting was supposed to be secret, so the Korean asks his wife if she told anyone about it. Turns out she's hiding the masked man in their house. So the Korean husband orders her to be killed but to take the newly born twin girls. The wife's escape plan split the daughters and one was secreted away by the nanny. The masked and was Yeom Seok-jin (Lee Jung-Jae). Korean resistance activists based the provisional Korean government in Manchuria. 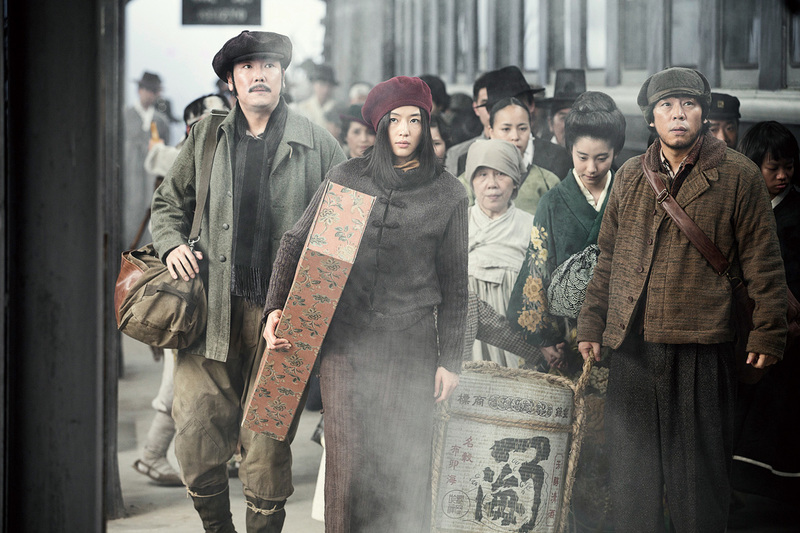 In 1933 Yeom, now an agent of the provisional government is asked to prepare a covert team to go to Seoul to kill the pro-Japanese business man and a Japanese military commander before they can build a airplane factory. He is given a deadly sniper An Ok-yoon (Jun Ji-hyun) who is locked up for shooting her superior officer, Soksapo (Cho Jin-Woong) an expert in rapid fire, and Choi Duk-moon (Hwang Deok-sam) who learned explosives in Hungry. But Yeom hires bounty hunters Hawaii Pistol (Ha Jung-woo) and his assistant Younggam (Oh Dal-Su) to follow the assassination team and take them out. Ok-yoon and her team arrive in Seoul staying with at a cafe that is a cover for one of the provisional Korean government hideouts. They decide on a plan while the team assigned to take them out are dressed like Japanese officers. They meet a Japanese Lieutenant on the train who is getting ready for an arranged marriage to the Korean businessman's daughter, Mitsuko who strangely looks just like Ok-yoon. The story informs unfamiliar history for most Americans. However the multiple layers of plot are interesting and characters are nicely formed. The action will keep the viewer at the edge of their seats as the different assassin teams shoot it out with each other and the Japanese. Not to mention Yeom is watching and following manipulating everyone to his benefit. 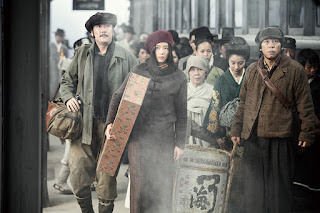 The film sympathizes with the independence fighters and even allows some insight into Yeom's backstory. Even after the fateful mission, years later there is closure that is rightfully due. It may be a long movie, but it keeps your attention.